Start by rolling out your favorite pie dough. Use a bunny-shaped cookie cutter and arrange the bunnies on a Silpat-lined baking sheet. 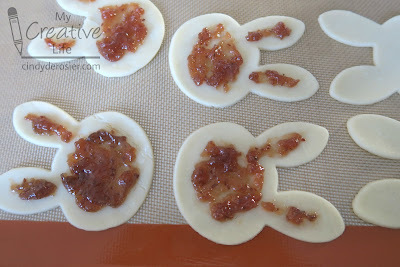 Spread raspberry jam in the center of half of the bunnies, including the ears. Do not overfill them, but don't skimp either. The bottom left is the correct amount. Get a small dish of water. 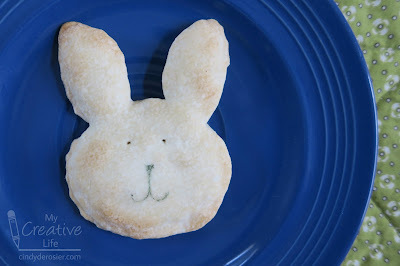 Use your finger to thoroughly moisten around the edges of an un-jammed bunny, then place it on top of a jammed bunny. Do not skimp on water! This is what seals the pies and keeps the jam in. I experimented with different ways to crimp the bunnies closed (fork tines head on, fork tines from the side, finger pinch, and rolling) and they all worked equally well. 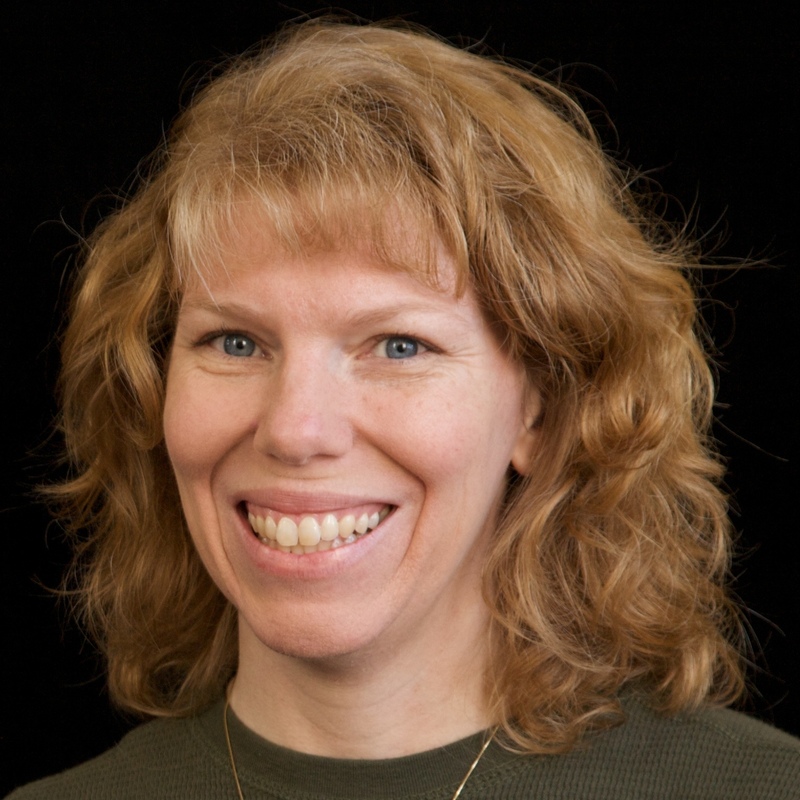 The water is the key, not the crimping. 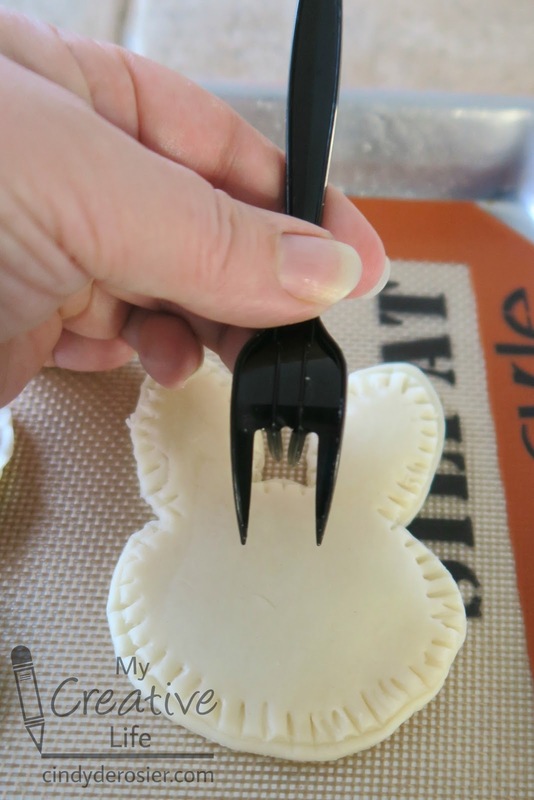 Bend the middle two tines of a plastic fork up, leaving the outer tines intact. 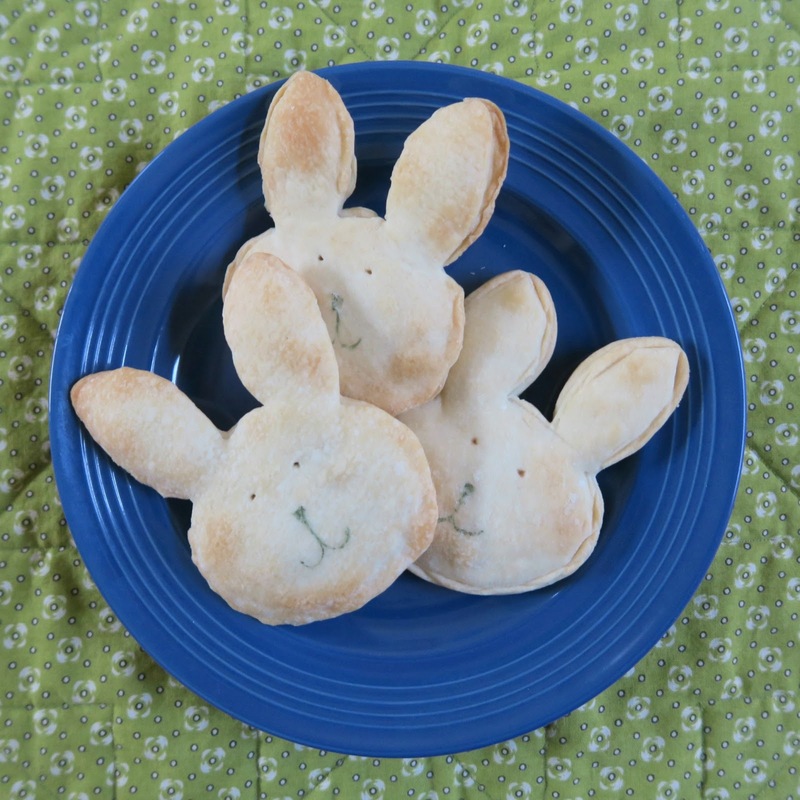 Pierce each bunny to make eyes. 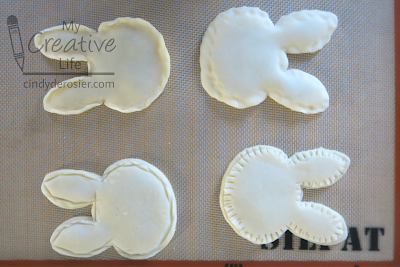 Bake your hand pies at 400°F for 10-15 minutes. 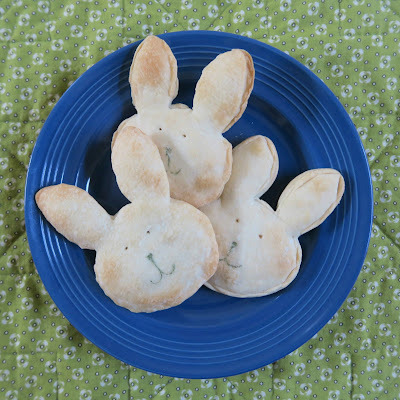 Let the pies cool until they are safe to touch, then use an edible marker to add a nose and mouth to each bunny.